Ipoh, the capital city of Malaysia’s silver state, Perak hosts many interesting attractions. 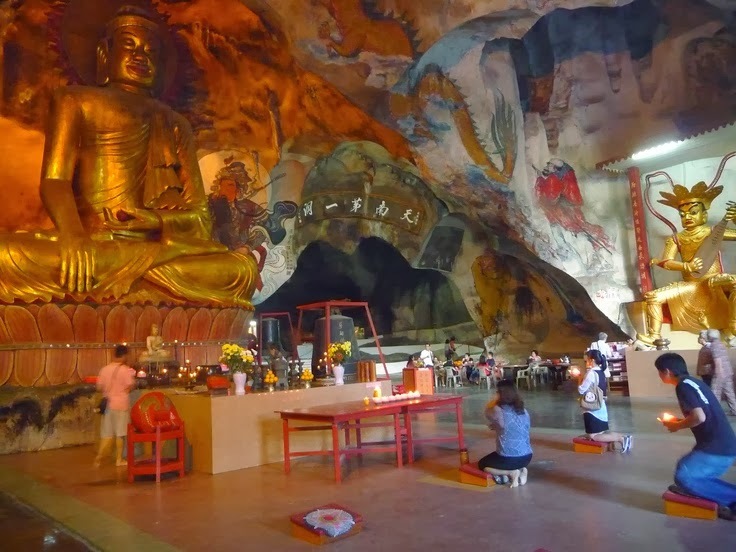 The cave temples located around Ipoh are a much-frequented attraction of the city. Temples like Perak Tong, Sam Poh Tong and Ling Sen Tong draw visitors in droves. 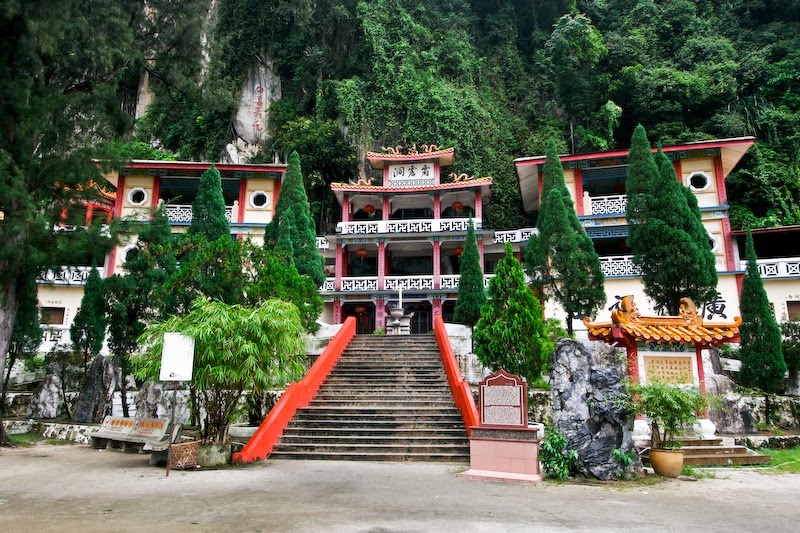 While each temple has its own unique characteristics, Perak Tong housed within the huge limestone cave; Gunung Tasek situated 6 km north of Ipoh city is perhaps the most well known. Perak Tong dates back to 1926 and the temple is believed to have been built by a Chinese immigrant, a Buddhist priest, Chong Sen Yee Chon who hailed from Guangdong in China. Chon and his wife had immigrated to Ipoh during the tin mining boom in the city in the early 20th century. The limestone outcrop, Gunung Tasek, reminded Chon of the mountains of Guilin, and he deemed it to be an auspicious spot. He then went on to seek a development permit from the state government to construct a temple there. Chon’s efforts thus resulted in the creation of Perak Tong, a magnificent space consisting of a complex grottos and caverns which contain Buddhist and Taoist figures. In fact, the temple is populated by more than 40 statues of Theravada Buddha figures hailing from Southeast Asia, as well as China, one of which includes a seated Buddha statue that rises to a height of 13 meters. Paintings, murals and calligraphy inscriptions adorn the temple, which is surrounded by limestone formations. Other embellishments of the temple include carvings of Chinese dragons, warrior gods, and maidens, which are interspersed with inscriptions of poetry and philosophy. A series of 450 concrete steps lead to the upper portion of the cave and located here is a small pathway encircled by shrubs and vegetation leads to platform, which affords stunning views of Ipoh and its environs. If you have time to visit only one cave temple in Ipoh, do make sure it is the magnificent Perak Tong temple.